Fans of Game of Thrones will know just how powerful of a woman Daenerys Targaren is. 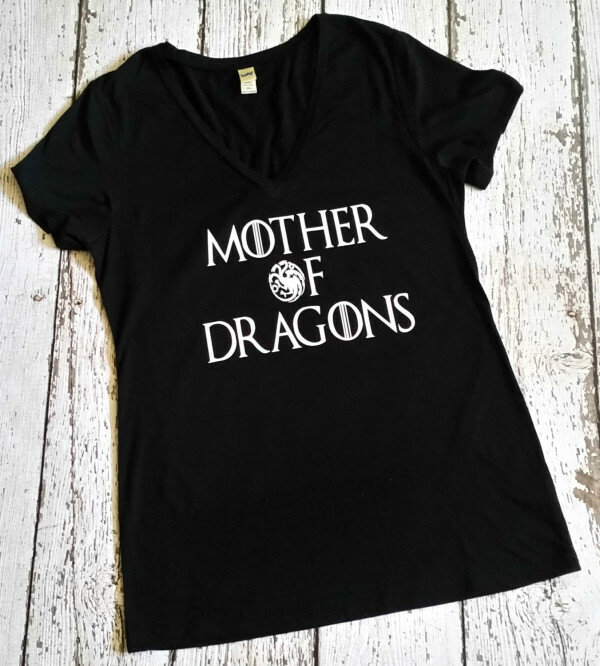 The mother of dragons is a ruler above all rulers and as such the Internet has bestowed upon her several shirt designs befitting of her stature. Here are 5 of the best we could find. 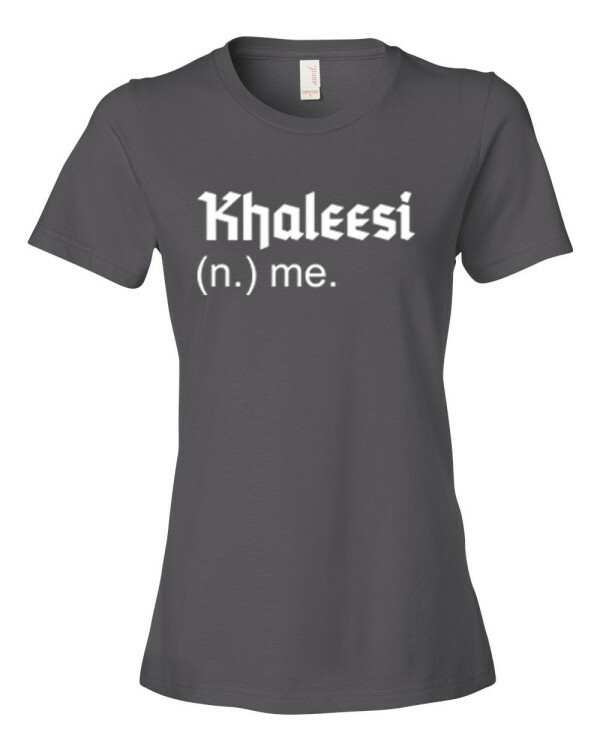 If you are a powerful woman you deserve to get yourself one of these dictionary definition Khaleesi shirts. You can pick one up from DripDesigns Etsy store. Sometimes for mothers it can feel like you are raising dragons and not kids. If that’s the case then this is the perfect shirt for Game of Thrones fans. Grab one of these from BandGVinylCreations. 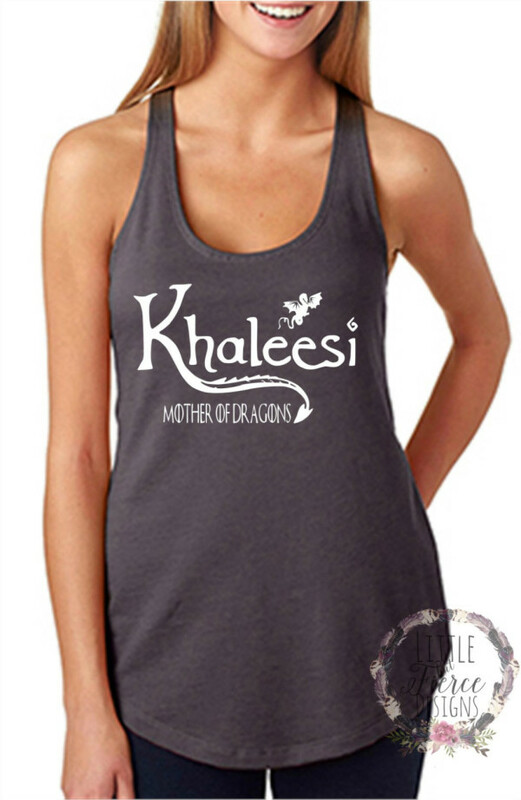 I really like the design on this Khaleesi tank top. I like the ouch of the K trailing off into a dragons tail. Get one of these from LittleButFierceCo. 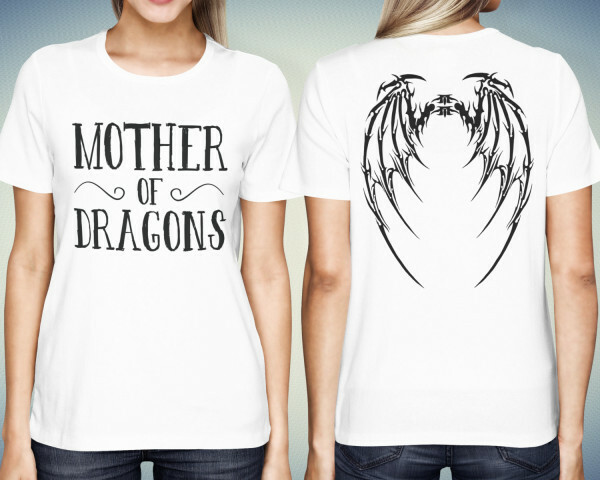 The wings on the back of this Mother of Dragons shirt are really cool. It gives it that little something extra to show you mean business. Get one of these cool shirts from QuoteShirt. 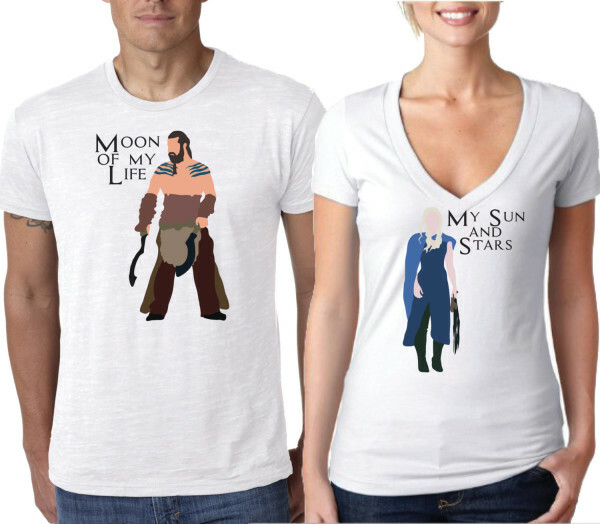 Nothing says love quite like matching Khaleesi and Drogo his and hers shirts. Hers says My Sun And Stars and his says Moon Of My Life. Pick this pair up from AlaneMaineDesigns. 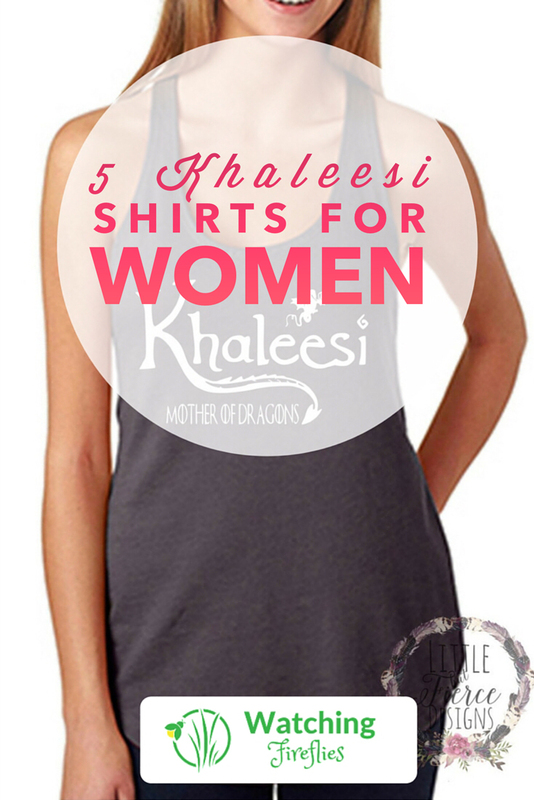 Have you seen any other Khaleesi shirts you think we should add here? Let us know in the comments below.